Guess who turned TWO today??? 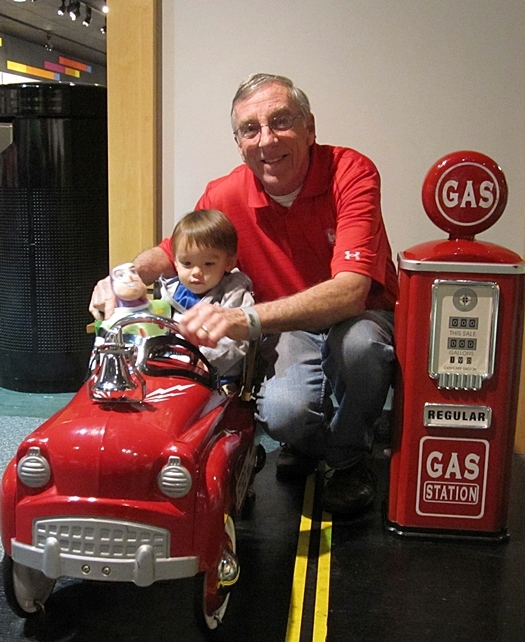 He celebrated his birthday at the Peterson Auto Museum. Here he's riding a little fire truck with Buzz Lightyear and Grandpa. I can't believe that our little baby is a full-fledged toddler! I can no longer refer to him as "Baby" on this blog. I'm going to have to refer to him as our little boy! These days he's saying full sentences like "I want to drink water." or "I want to drink milk." He'll also ask us to let him watch "Buzz, Woody, Jessie" on TV. He also loves to sing songs, ABCs and Twinkle Twinkle Little Star are his favorite. He can almost get the entire alphabet down! I can't believe that we survived a whole year of the terrible twos! We love our little boy more and more everyday. We can't wait to see what he'll learn in the next year. Happy Birthday to our precious little boy!! We hope everyone had a wonderful Christmas!! We had the best weather this year on Christmas day! It was in the mid 70's and absolutely glorious. Mr. BAW's cousin was visiting from London with his girlfriend and they were hanging out in our backyard just soaking up the warm Southern California sun before flying back out to cold and wintery London. We had quite a satisfying Christmas filled with presents, amazing food, and wonderful family. We have so many people to thank for all the wonderful gifts we got. Below are some highlights of our day. But the week is not over, we still have Baby's 2nd birthday, Disneyland, and much more to show you!! We got glorious weather for Christmas! These are the best cookies I've ever had. 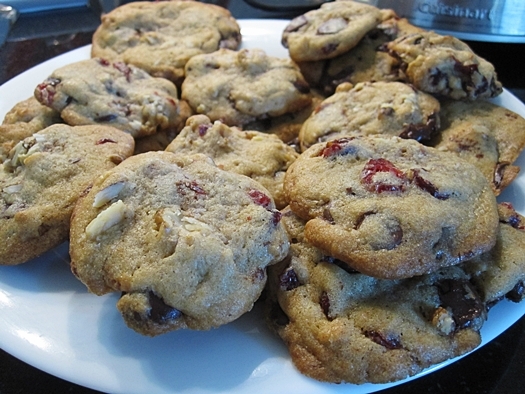 Chocolate chip, cherry, and walnut cookies!!! 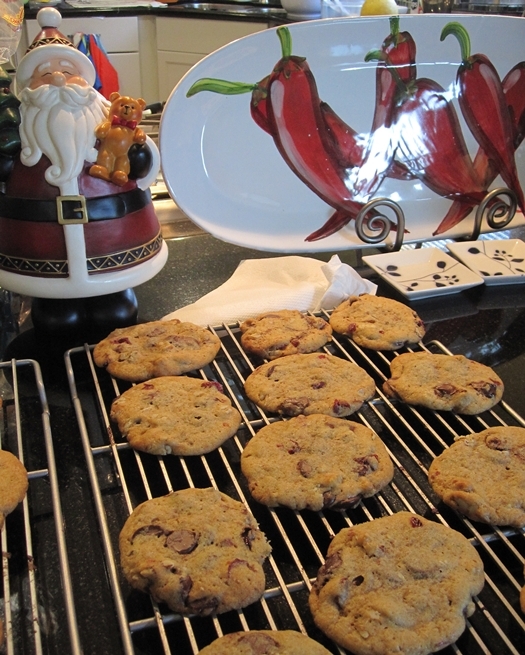 Mr. BAW and my MIL were busy baking batches of these yummy cookies so it's worth another look!! 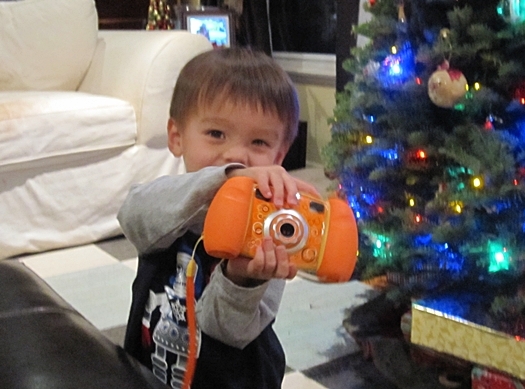 Baby got his very own digital camera from his Grandpa and Grandma!!! 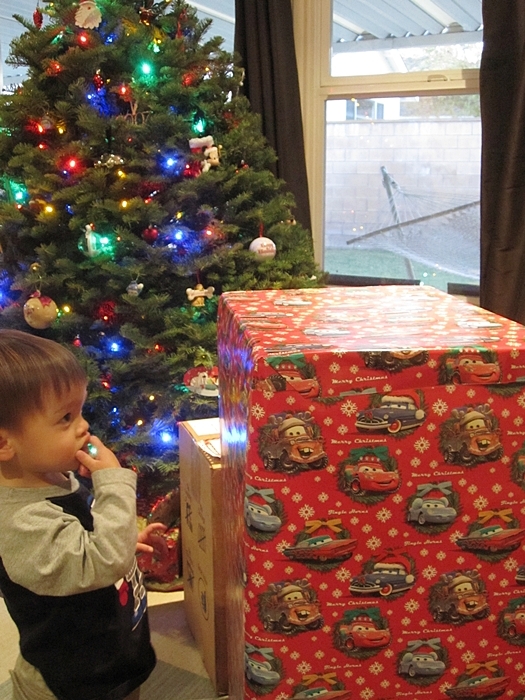 Baby was mesmerized by this giant box for him...what could it be??? 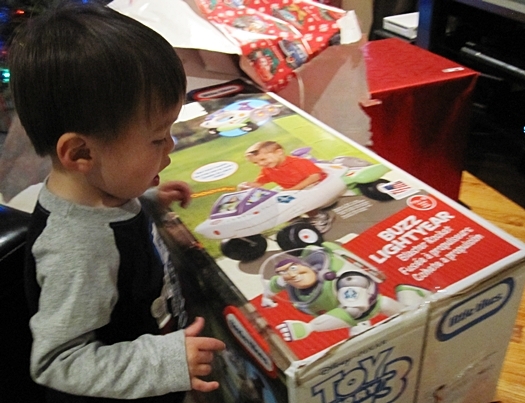 It was a Buzz Lightyear Rocketship from Aunt TNK!!!!!!!! It was true love!!! Thank you Aunt TNK! 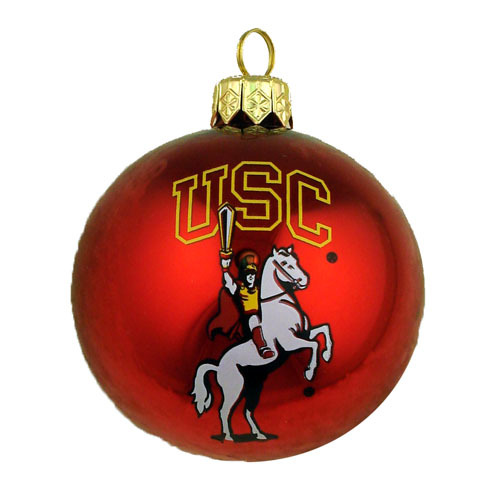 Wow, what better Christmas present can a Trojan ask for?? It is certainly a complete surprise to me that Matt Barkley will choose to stay at SC for another year! We can't ask for more since this will also probably help with recruiting and allowing SC to get a top backup quarterback to follow Barkley. Merry Christmas indeed! 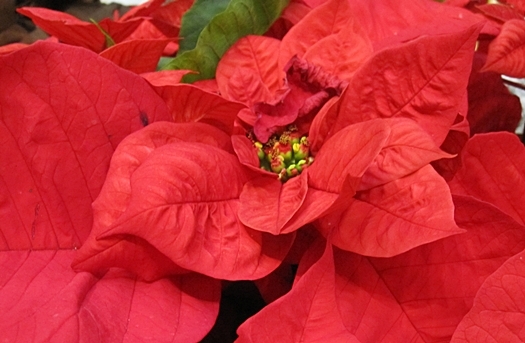 :-) To all of our family and friends, please have a wonderful and safe Christmas. We look forward to hosting Christmas at our house this year! Our Christmas tree is all decorated!! 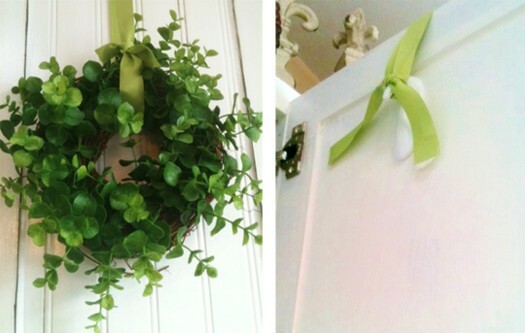 We're getting close to Christmas host-worthy! 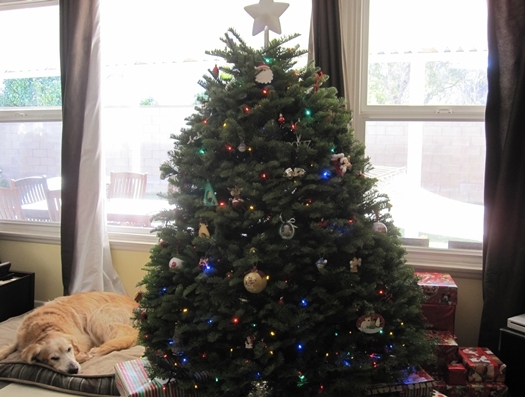 We decided to get a smaller tree this year, a 5-footer Noble Fir. After 8 years, my Christmas lights have finally died. So we decided to pick up these new energy efficient LED lights for the tree this year. I'm not quite sure how I feel about them. They are a bit brighter, but also look a little less twinkly. But I guess they are "greener" and safer than the old lights so I'll just have to learn to like them. Toby doesn't seem to mind them at all. :-) Thankfully, Baby has been very respectful of the tree. 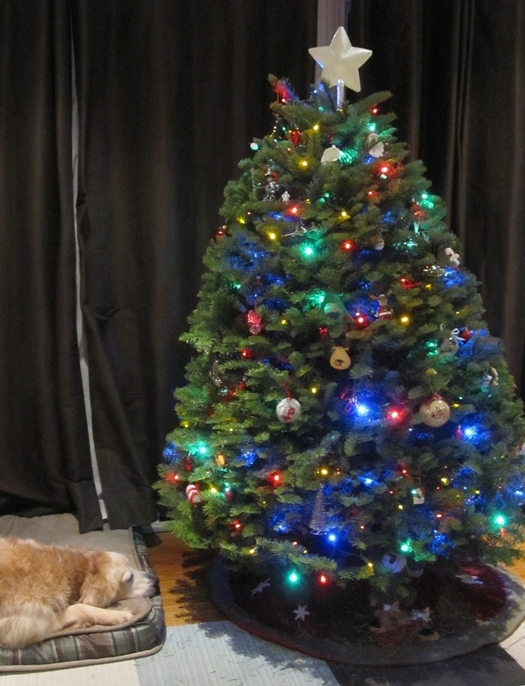 He likes the lights and can say "kissmiss tree," but he's been good about only looking at the tree and not touching it. Of course we don't leave him alone with the tree. We've also kept his present in another room for now. I just hope that I get over this cold soon so that I can enjoy our fresh tree scent! 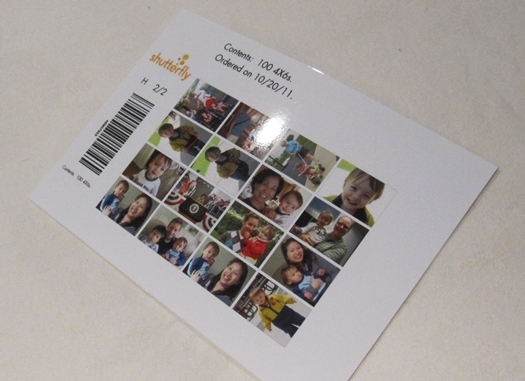 Do you ever order pictures from Shutterfly or any other online photo print sites? I've always saved the little summary photo card not really knowing what to do with them. You know, the card that shows all the pictures you ordered. They are sort of like thumbnail versions of the pictures you ordered. It just didn't feel right to just throw them out. So today I had an idea! 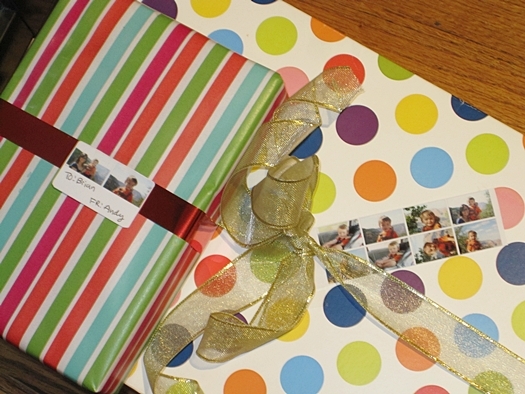 I cut out the tiny little pictures and made them into gift tags for my Christmas presents! I used ones that are relavant to the person I was giving the gifts to. Grandma gets the ones with her and Baby, Mr. BAW gets ones with Baby and him or Baby and me. Whenever possible, I try to cut out some white areas so I can write on the tags. 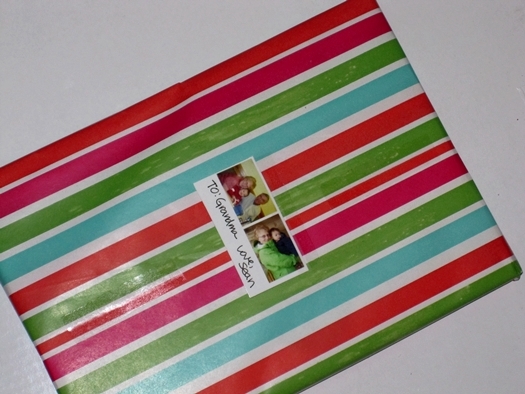 If the pictures didn't include any white areas, I simply write on the back of the tag and only attach the top of the tag to the gift box so you can turn the tag over to read the name. I think the tags turned out really cute. We've all but settled on a baby girl name!! I'm about 98% certain that we'll go with this name. Perhaps in another month or so, I'll get to 100% sure. I was struggling with this name a little bit because we know someone else with this name. But this person is not our close family or friends and she's an adult. 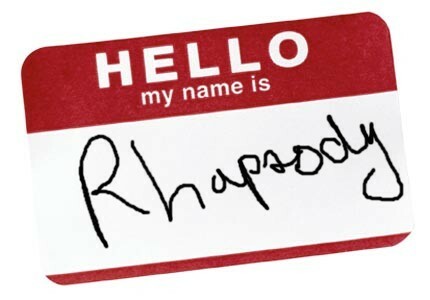 My friend TNK help me to realize that with so many people we know, it's nearly impossible to pick a name we don't know anyone with, unless we go with Rhapsody. :-) So with that, I'll learn to get over associating the name with just this one person and try referring baby girl with the name for a month and see how I feel. The one thing I do feel really good about is that this name we like is not on this top 100 list. I don't want to make up a completely unique name but at the same time I don't want her to share the same name as tons of her friends and classmates. In Baby's daycare class, he knows two Liam's. My friend TNK had 5 Brian's at her wedding and once, I'm not making this up, I was in a meeting with 5 David's!! Things get even more complicated when you have a popular name that can be male or female. My old neighbors were a married couple sharing the same name, they were both Tracy!! Thankfully, they did not name their little boy Tracy Jr. And an old co-worker of mine dated a girl with the same name as him, Casey. He told me that he was glad the relationship didn't work out because it was getting to be a little too weird for him to call her by his name. Is there a recurring name in your life? We started out December with a bang, literally! Maybe you have heard on the news of the crazy windy weather we've been having in LA. Usually, those kinds of crazy winds only affect people out further East and North of LA, like out in the desert. But this time, we experienced gusty winds through the entire LA Basin. We luckily didn't have any power outage like the poor folks out in Pasadena. But we did discover that a part of our fence fell down from the strong winds! That's not the only surprise we got. When we went to investigate the downed fence, we also discovered a water leak underneath the house! We had noticed a spike in our water bill a month ago but thought that it was related to our bathroom remodeling. Thankfully, we were able to get a hold of our contractor on that same Saturday morning and got everything fixed within 4 hours. It was the best outcome to a bad situation. Given all this bad weather and house problems, we still managed to get into the holiday mood. 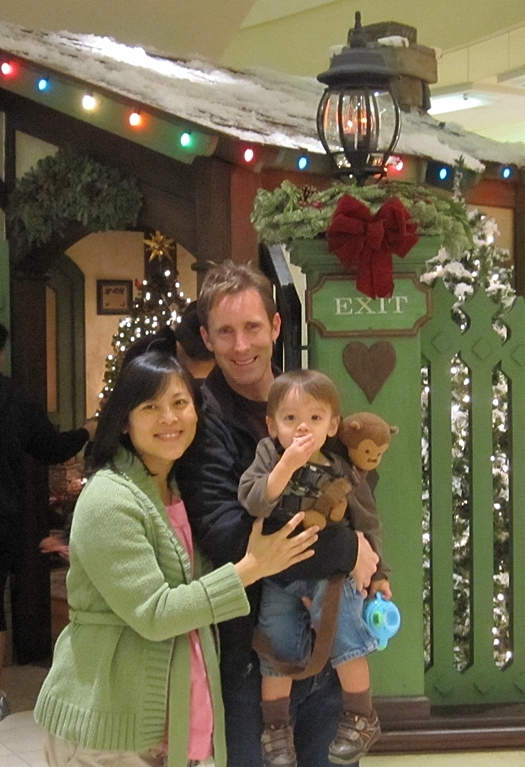 We got down to the South Coast Plaza to see their crazy Christmas decorations. 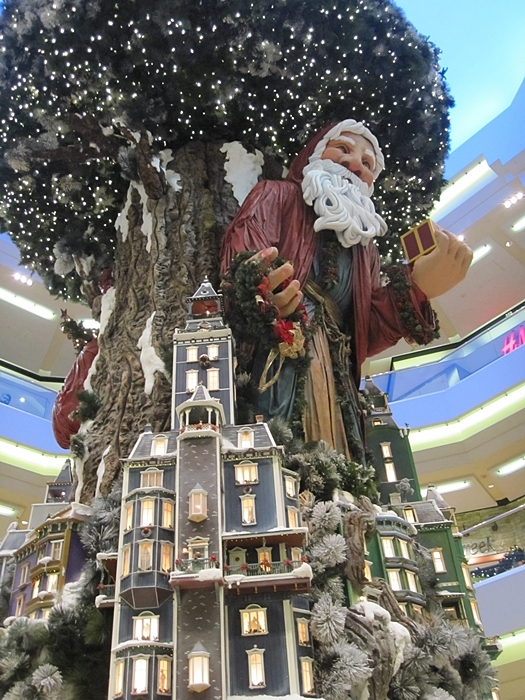 I love that this mall goes all out for Christmas. At almost 2, Baby also got to run around like a little mad man. He especially loved to watch the model train decorations. 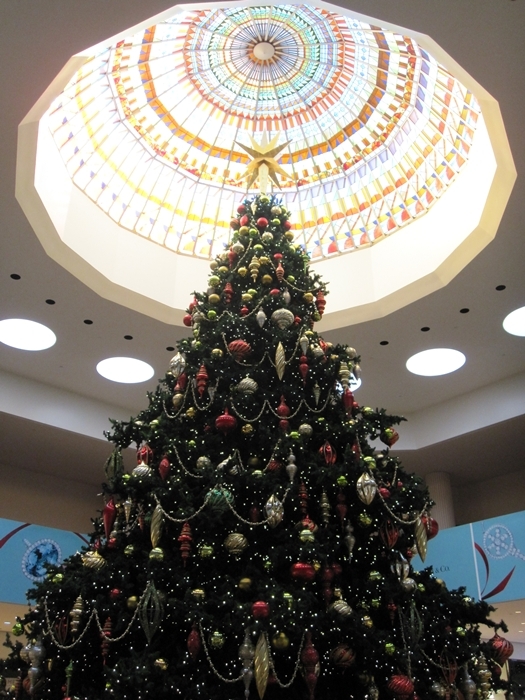 This beautiful tree is over three stories tall! This is a giant Alps display complete with a couple of model trains running up and down the towns. 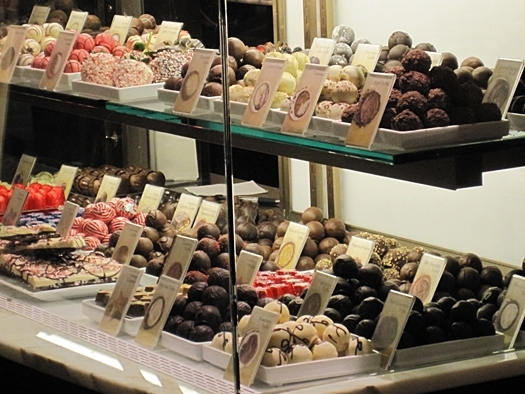 Amazing chocolates at Godiva. We shared a dark chocolate decadence drink as we shopped. 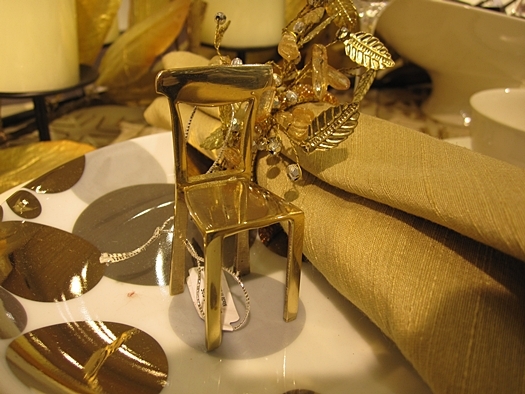 Love these table decorations from Crate and Barrel. 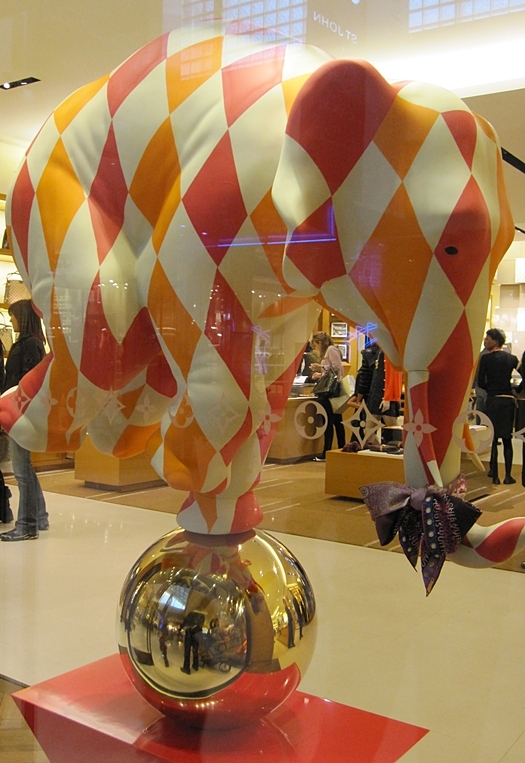 Not sure what a giant, colorful elephant has to do with Christmas, but I love it. 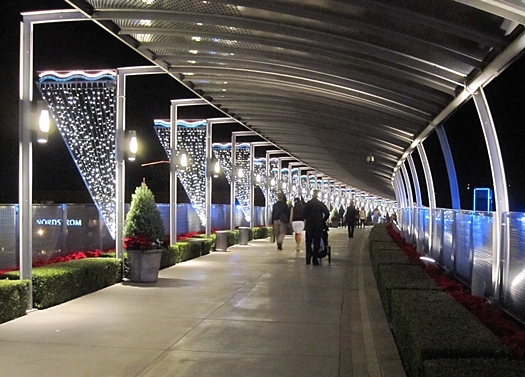 A beautiful bridge that connects two parts of the mall. 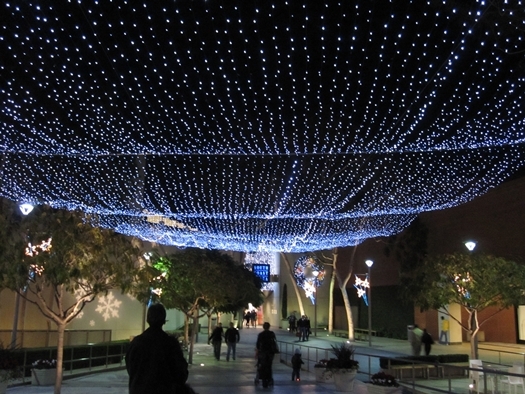 I would love to have these twinkle lights in our backyard. 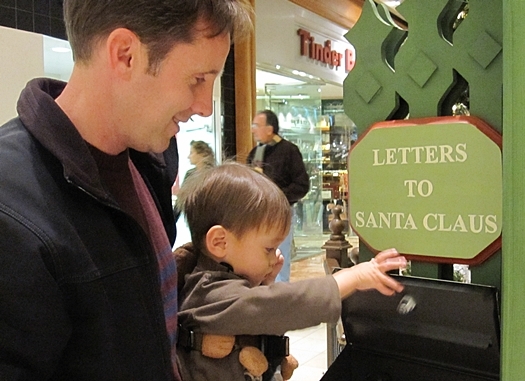 Baby sending a letter to Santa. Us, in front of Santa's House. 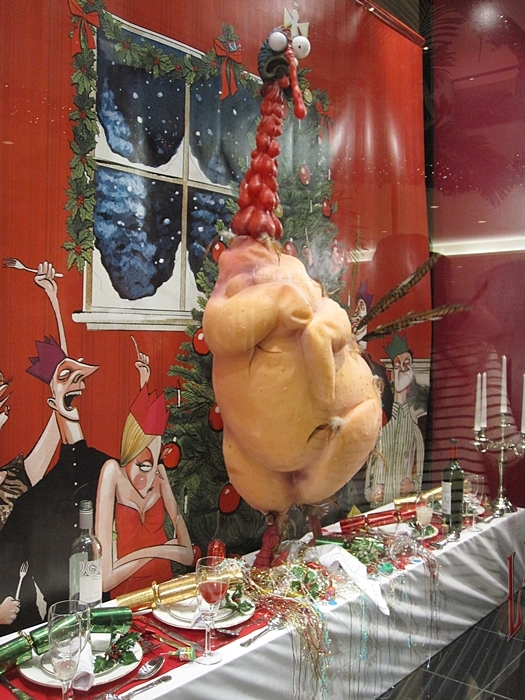 This is the ugliest window display I have ever seen. The turkey actually shakes on the table! !